Introducing the best concealer from the Hollywood professionals, a special effects formulation modified for the everyday person. Ever wondered how they cover the actors tattoos so well in the movies? Well, now you know! This formula works beautifully for discolored scars & acne, dark circles, bruises and tattoos. It provides full coverage that lasts all day. Like all Dermaflage products it comes from the professional’s kit so it is hardy & hardworking- waterproof, full coverage that lasts all day! It dries matte- no tackiness & smudge proof! Not sure what color to pick? Start with the concealer palette which comes with three you can mix. A concealer specially formulated to block out the toughest discolorations on the face & body. Super-pigmented so that a little bit does the job. It dries to a matte finish that does not smudge or rub off- it stays in place until you take it off with makeup remover. 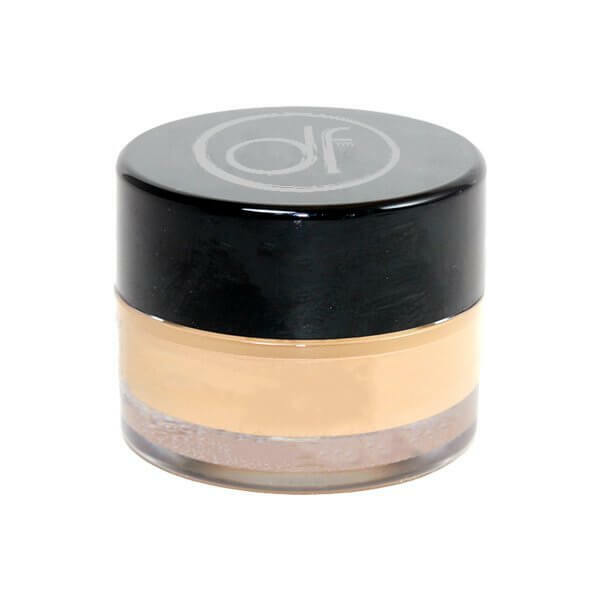 Unlike other concealers, there is no setting powder or spray needed for it to last 12+ hours. Paraben & gluten free. SKU: BTS-S. Category: New Customers - DF. Tags: acne scar product, best product for acne scars, Color Options, Kit, scar filler makeup. Apply a small amount to block out discoloration. Work quickly to blend into surrounding skin. Apply foundation over top if desired. Keep jar closed when not in use to prevent drying. Use makeup remover to remove. The concealer covers up scars completely. I still have not found the right color for my skin but I am currently combining two colors because they gladly sent me another color free since it is my first time buying it. This concealer is waterproof! It stays put for more that 24 hours! It is not shiny. I am using it to cover a huge scar that I have on my leg. I wish they would have it in additional colors so that it would match my skin perfectly. I highly recommend this concealer. Hi! I ordered this concealer originally to hide a scar-age spot on my face. However, I have since learned that this product works great for filling small pores that have enlarged! I have used all kinds of pore fillers and none work. I tried the Dermaflage silicone filler but it is too messy and does not fill the smaller enlarged pores to my satisfaction. This concealer is waterproof and actually “sets” in a very short period of time! I’ve found my pore filler! I suggest that Dermaflage investigate this further and produce a pore filler that applies with a small “roller” that can dispense small amounts and then be used to flatten the product after it sets for about 20-30 seconds. It really works! Thanks, Dermaflage!